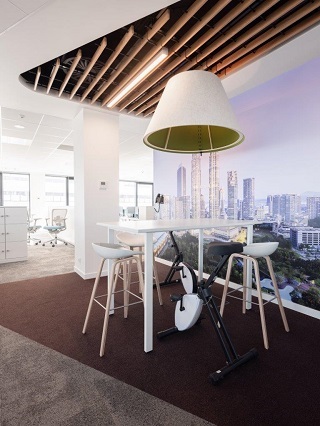 The latest opening of a new, fifth, office in the Shell Energy Campus in Krakow and constant growth in employment makes Shell one of the largest employees and investors in the Małopolska region. 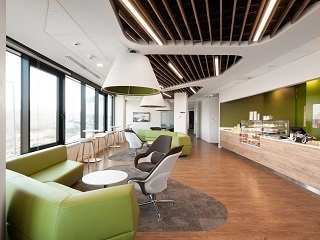 “Shell opened the business operations centre near Kraków back in 2006, when shared services and business process outsourcing was just beginning to be present in Poland. 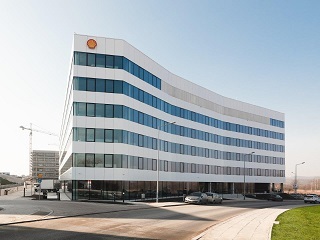 Like several other companies, Shell decided to locate in this unique place, full of the right talent, part of the growing economy of Poland. In the early stages of this journey, Shell began by bringing together repetitive administrative work for the company across Europe, primarily leveraging the arbitrage on salaries. Given the currency conversion rates and the economic competitive advantage, this made good business sense back then. Yet this was the initial part of something that would grow far beyond the simple back-office work that we started off with. It was an epilogue to an exciting journey of growing an advanced, multi-dimensional business-centric hub, bringing operational excellence to a new level thanks to consolidation and synergies between various parts of our business. 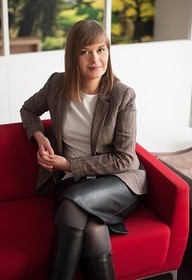 “The early stages of Shell’s presence in Kraków were very much about the proof of concept. It was a conscious decision to keep everything in-house rather than to outsource. Over the years, this decision has been fully justified. By maintaining our own company culture, our values, we have created a sense of purpose that is difficult to replicate in the outsourcing model, where people can be working for several different external clients. The in-house model has proved far more successful in an era of low unemployment, when employers are fighting hard to retain their best talent. To win, you have to have a strong organisational culture, strong employer branding, and full control over your own processes. This gives in-house business operations a huge advantage over outsourced business processes in an era of falling unemployment and rising salaries associated with a rapidly growing economy. As the dynamic expansion of Share Services/Business Process Outsourcing industry was continuing in Poland, we were welcoming new generations into the workforce. The shift of generations, with Millenials’ sense of purpose and desire for a proper work/life balance, meant resetting the understanding of what it means to be an ‘attractive employer’. Digital transformation is another crucial change affecting the workforce market dynamics. Previously, when there were many people available on the labour market it was easier for many employers, but now you have to understand how to get the workforce you need and how to keep them on board. Today, 75% of the working population at SBO Kraków belongs to the younger generations – how do we get them to stay with us? To recruit people, we offer a good package, a great working environment, and the chance to grow and develop – in that order. But when it comes to retention, number three becomes number one. Development and growth, then purpose, followed by salary and package. This is the picture of today’s job market in Kraków. Shell Business Operations accountability spreads across 10 different business disciplines – from classic finance, to creative roles, customer facing work, supply chain management – all for one company. This means we are able to offer interesting career paths; we have a strong brand and backbone of values, and we send a clear message that we care for people. This manifests itself strongly in the way we shape our culture – maybe this is a new factor – we are employee-centric – we put the employees in the centre, not only to do the job with a focus on success and performance, but ensuring that they do purposeful work.” Shouldn’t the customer come first? “Yes, the customer pays the bill. But a happy employee equals a happy customer – a happy and engaged employee will mirror it in the way they treat our customers, and we know that a top-class customer experience drives strong commercial results. “If we go back to our origins as a shared services centre, we began as a European hub for finance and HR processes, consolidating operations based predominantly on cultural proximity and operational efficiency. Since then, we have acquired a lot of global accountability and deepened our direct impact on the business outcomes. Delivering fuels to European Retail stations is coordinated from Kraków. Very sophisticated finance processes are developed here for use by the whole company worldwide. We deal with process design, we have robotic process automation experts sitting here in Krakow – we offer expertise for the entire organisation. We are starting to push out the frontiers of what you can do in hubs – in Kraków, we have started doing external relations for Shell, legal support for our businesses, these are really fresh directions – we only started doing these last year. It works very well as we have a unique and diverse pool of talent for all these new work dimensions, like internal communications, for example. But what’s it like working in Kraków? “On the one hand, a beautiful, historic city, plenty of culture – on the other, it’s known for its smog and congestion… Kraków is an ace in itself. It has a competitive advantage because it is Kraków, it has a very young soul, its universities attract a multinational group of students. Shell has a strong brand among the student community. For a lot of young people, Kraków is a nice place to be and live and work. Living in Kraków is a great package, it’s becoming more and more attractive to people from western Europe. This at first seems surprising given the difference in salary levels, but then living costs are relatively lower and job security is higher than in say, southern Europe, thanks to the growth dynamic of the Polish economy. Poland’s can-do attitude is a plus. And then there are family stories with mixed nationalities, which act as a lever. The result of having a workforce consisting of 48 different nationalities, is that we have different perspectives. The perception of local challenges whether it is about the smog or the usual suspects like traffic and roads congestion, often differs significantly among our employees as it is very much driven by their own perspectives. While for many, Poland is the centre of the EU – ‘the West’, you will also find different views from staff originating from West and North of Europe, where socio-economic growth is more advanced. The same applies to awareness about what is meant by a ‘sustainable city’ and ‘good quality of life’. “This brings us on to the subject of environmental challenges. The shadow over Kraków is the air – being in a valley is not helpful in overcoming the smog. Kraków is a good size for a city, it is convenient and comfortable, but the quality of life declines when there’s smog. How can we as a big employer make people aware of how many things have already happened to improve the quality of air? Someone who joined us a year ago doesn’t’ know how much progress has occurred over the past 10 years. As a business, it is in our interest to make Kraków a success, to promote and help the city. We have almost 4,000 ambassadors of the city – our own employees. We are prompting people to use their cars less – estimates show that 40% of the smog comes from road traffic. The rest comes from buildings and industry. Now, often Krakow has more stringent standards regarding air quality than do surrounding municipalities, and it is from these that much of Kraków’s smog rolls in. Shell wants to engage with local authorities and citizens as to how to alter their behaviour, to help the city, and to talk about improving the quality of life for everyone. “As they start work, young people are on important journeys in their lives. It is only natural that they look into new experiences and want to change their jobs to gain new, fresh perspectives. Retention is a key performance indicator for us as we want to obviously keep the talents on board. According to our data, there is a several percentage points difference between us and the market when it comes to attrition. We believe this is the healthy rate. We offer different retention programmes at vary levels; you need different approaches when it comes to retaining graduates vs retaining people with 10 years’ experience. Building strong leadership founded on inclusiveness, respect and with the right gender balance requires targeted mentoring, coaching and consequent education about the company values. “We start early with our student ambassador programme, we build the Shell brand on the student campuses. We offer more than 120 paid internships a year – real projects, which can lead to serious jobs. Many interns stay on or come back to us when they complete their studies. We are active at university career fairs, and we conduct many initiatives across multiple channels, digital channels such as Facebook where we have run successful campaigns. We also work with professional organisations – in finance, in procurement, with the Chartered Institute of Purchasing and Supply, with the Chartered Institute of Management Accountants or the Association of Chartered Certified Accountants, for example. The Polish labour market has hit an important barrier. In January 2019, for the first time, the employment rate has stopped growing. This strongly suggests that it will become even more difficult to recruit people. What are the new options for companies like Shell? “Working more closely with technical and vocational schools – businesses are beginning to explore this, but taking on high-school leavers rather than graduates is something we might need doing more actively in the future. Today’s educational decisions of tomorrow’s workforce raise valid questions as our society gets older. Also languages will continue to be key as we operate in a globalised world. We have a lot of jobs that require languages, yet all our jobs require English. English is no longer the remote idea that it used to be. In today’s world, every child has contact with English; because of the digitisation, it’s the global language by default. But if you find a great talent – an expert in a given field, but one who happens to have a deficit in language, it’s not a problem, it’s something that can be managed. However, the socio-economic trends of the workforce require the educational system to adapt more quickly and this journey needs to start now.